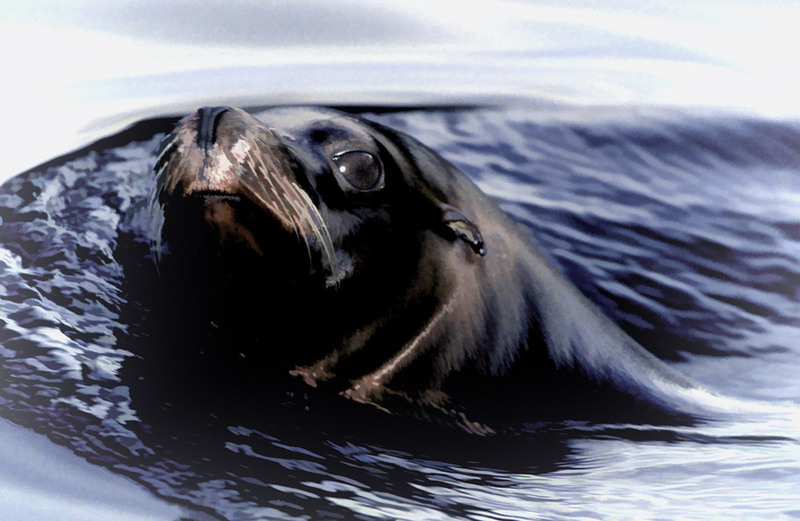 A Sea Lion rides the ocean swell. Actually the original shot was taken in a wildlife park in the UK countryside. Painted with Topaz art . I love the closeness of the sea lion and the terrific eye contact in this image, Carol. It is a wonderful portrait, and I'm pleased you left the eye predominately untouched by the painting. The whiskers are great, and the water was handled perfectly – it actually looks like an ocean shot. A very creative and beautiful image. What an appealing creation, Carol- love the close eye contact and the feeling of the water/waves. The whole thing has lovely sweeping lines which give a feeling of motion, with just the right amount of artistic enhancement. Love it!